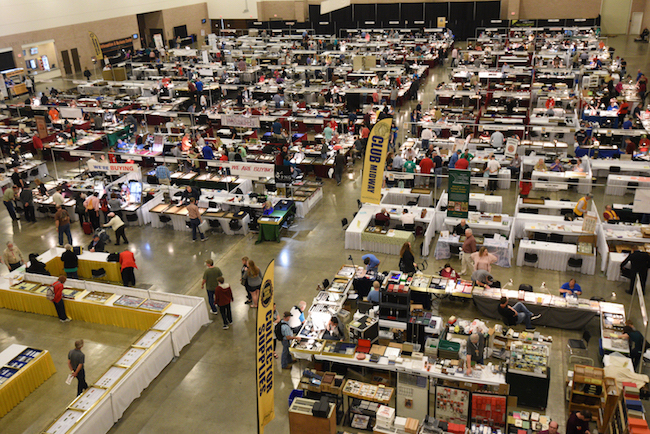 The American Numismatic Association’s (ANA) 2018 National Money Show in Irving, Texas, welcomed a total of 2,671 people to the three-day event, held March 8-10 at the Irving Convention Center. “By all measures, the ANA’s convention in Irving was a success,” said ANA President Gary Adkins. “As I toured the bourse floor toward the end of the show to thank dealers for attending, almost all said they were quite pleased with the venue, the turnout and business.” Adkins also noted that dealers especially appreciated the bags of snacks, as well as the morning coffee and light breakfast, provided them by the ANA. The event featured 166 companies buying and selling coins, currency and related items; a wide range of numismatic technical seminars and educational presentations led by notable speakers; and exhibits of priceless rarities from private collections and the American Numismatic Association’s Money Museum in Colorado Springs – including a $50 half union pattern from the Harry W. Bass Jr. Collection and a selection of error notes from the famous Bebee Collection of U.S. Paper Money. The Treasure Trivia game was a big hit with families, and 114 children learned about numismatics as they explored the bourse floor in search of answers to trivia questions. $252,000 for a 1737 Higley copper, graded PCGS Very Fine-35. One of four known. $40,800 for an 1872 copper Amazonian pattern half dollar, graded NGC Proof-67 Red Brown. $138,000 for a 10.07-ounce gold ingot produced by the San Francisco assay firm of Harris, Marchand & Co. in 1857. Recovered from the wreck of the S.S. Central America. $31,200 for a 1918 $50 Federal Reserve Bank note from St. Louis, certified PMG Extremely Fine-45. ANA President Gary Adkins presented three Presidential Awards at the show. During the opening ceremonies on Thursday, March 8, Adkins bestowed Presidential Awards on Dr. James Ferrendelli, an ANA life member and Houston neurologist, and Kenny Duncan Sr., also a life member, long-time coin dealer and a dedicated ANA membership recruiter. Following the Legacy Series interview, Adkins presented Mark Borckardt a Presidential Award for his accomplishments and service to the ANA. During the show, the ANA presented its first “Award for Philanthropy” to the Ben. E. Keith Company, headquartered in Ft. Worth, and the Harry W. Bass, Jr. Foundation, based in Dallas. “The ANA is very proud and grateful for its continuing relationship with these forward-thinking and highly-responsible organizations,” said President Adkins. In recognition of his service, President Adkins bestowed upon National Money Show Host Chair Carl Stang the Goodfellow Award. Adkins also recognized the two host clubs – the NorthEast Tarrant Coin Club and the Texas Numismatic Association – with presentation of the Lewis S. Werner Host Club Award. Adkins noted that the committed team of hard-working show volunteers was instrumental in the show’s success. Discussion of programs and approval of housekeeping items comprised much of the ANA Board of Governors agenda during their National Money Show meetings on March 9 and 10. Most notable was the review and approval of the IRS Form 990 and the Fiscal Year 2017 audited financial statement prepared by Waugh & Goodwin, LLP and presented by ANA Audit Committee Chair Ron Guth, Treasurer Larry Baber and Controller Carol Shuman. Fiscal Year 2017 expenses were $5,580,086, of which $4,526,870 was directly related to ANA programs (conventions, magazine, education, museum, library) and $1,053,216 for support services (marketing, fundraising, membership development, administration). Greg Lyon, board liaison to the Budget & Finance Committee, noted that the ANA’s net assets grew by $4.6 million during the fiscal year. “The ANA remains in a strong financial position, with more than $79 million in assets,” he said. The ANA’s Fiscal Year 2017 audited financial statement and IRS Form 990 are available for review online at www.money.org/financial-reports. Discussion of the new, soon-to-launch ANA online dealer directory, including review of rates for advertising and premium listings. Discussion and approval of a 2018 World’s Fair of Money kick-off event at the Museum of the American Revolution in Philadelphia on Tuesday, August 14. The ticket price was set at $50. Discussion of steps required to further explore development of an online education platform (business requirements, technical details, curriculum decisions). Approval of a new literary award to be named the Prue & Arthur Fitts Literary Award recognizing writing excellence in The Numismatist in the fields of ancient and medieval coinage. The award, which will be presented annually at the World’s Fair of Money, includes a wooden plaque and a cash prize of $250, to be funded by the sponsors. Discussion of the Board of Governors election process as it relates to finding qualified candidates and the length and limits of board terms. Presentation of a $500 check to Doug Davis in support of the Numismatic Crime Information Center (NCIC). 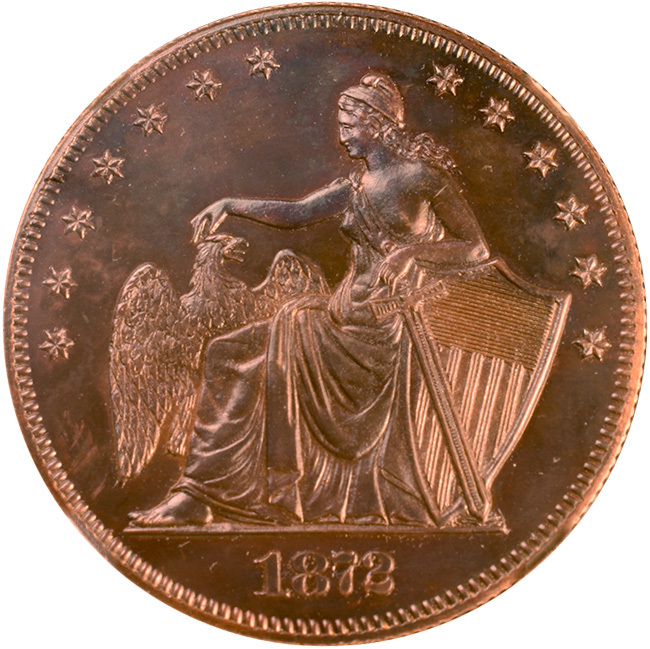 NCIC conducted a law enforcement seminar focused on numismatics at the Irving National Money Show, which was attended by 32 federal, state and local investigators from across Texas. Review of the new money.org app, which is compatible on both Apple and Android devices, and discussion of elevating exposure of money.org. Photos and videos from the Irving National Money Show can be viewed within the next week at www.NationalMoneyShow.com. 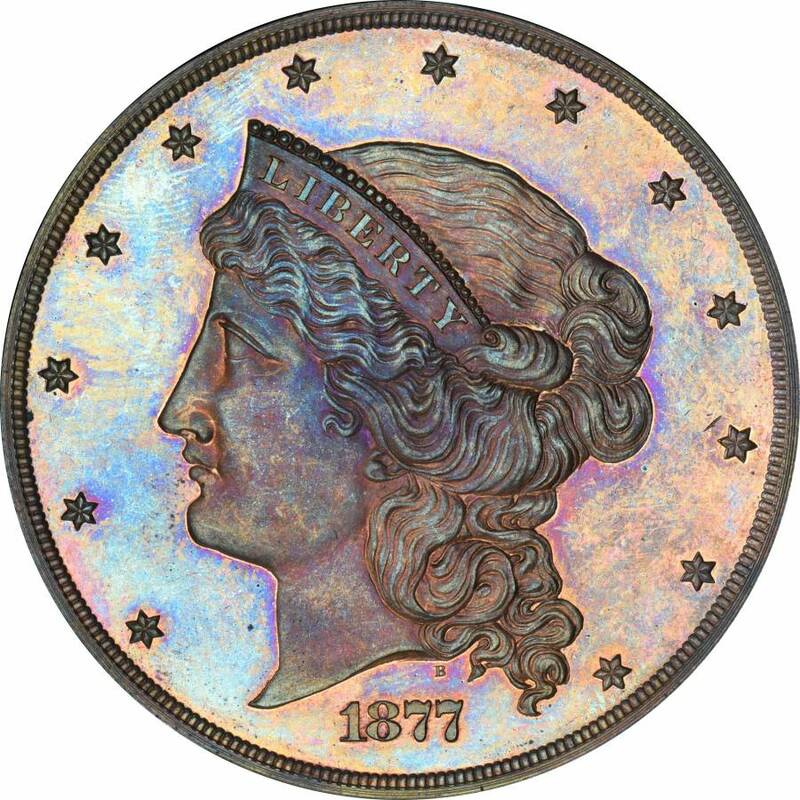 The American Numismatic Association is a congressionally chartered, nonprofit educational organization dedicated to encouraging the study and collection of coins and related items. The ANA helps its 25,000 members and the public discover and explore the world of money through its vast array of educational and outreach programs, as well as its museum, library, publications and conventions. For more information about the ANA, call 719-632-2646 or visit www.money.org.